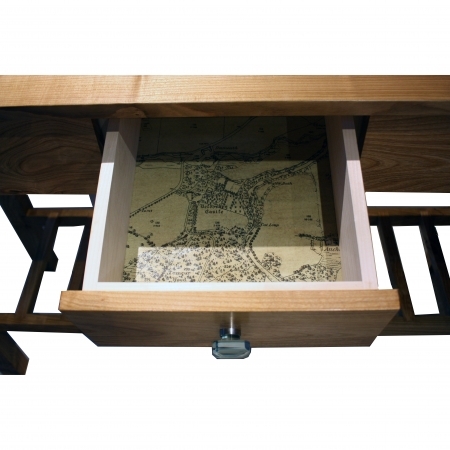 Personalised console table with map inlay in drawer. 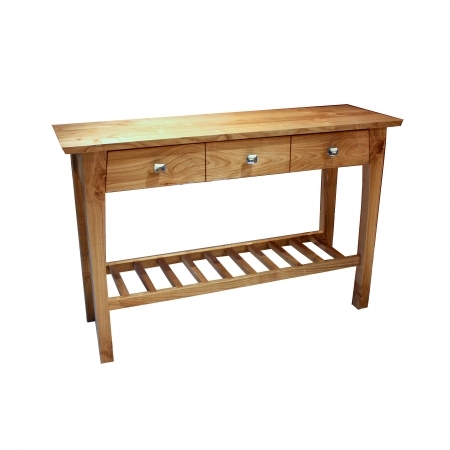 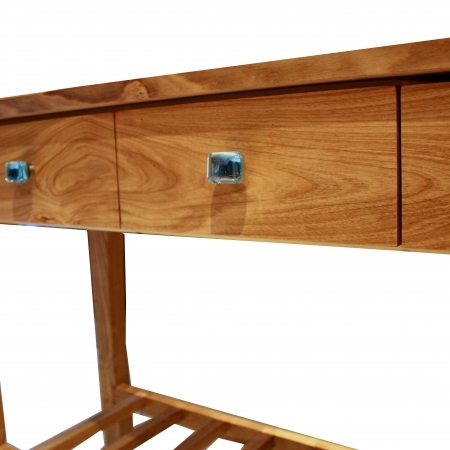 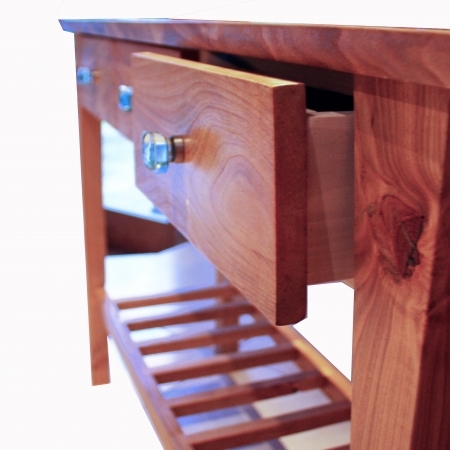 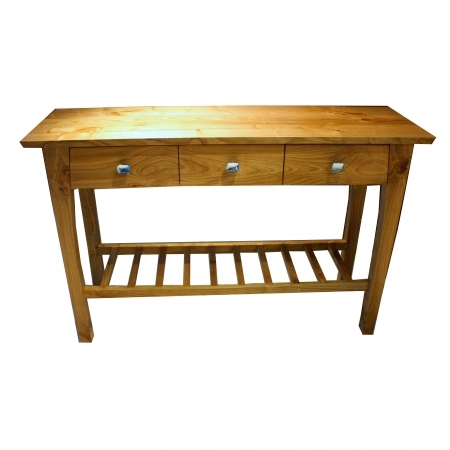 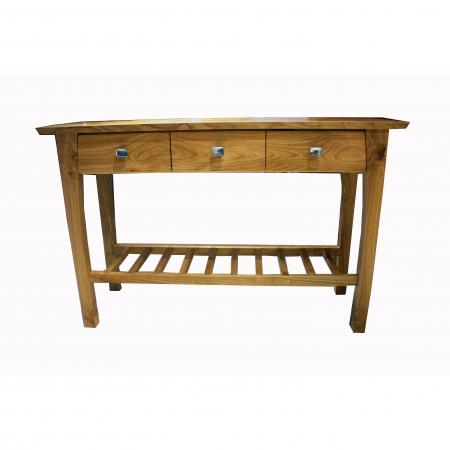 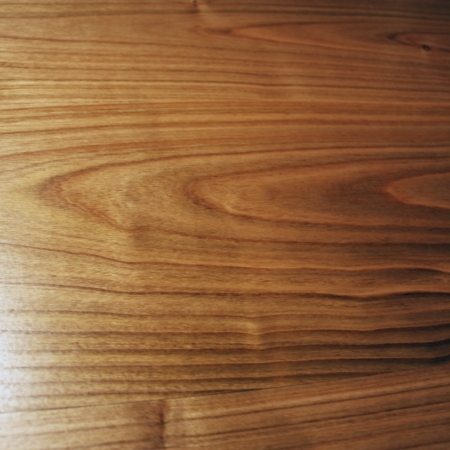 Sam was asked to make a console table by a client who had a large fallen tree on his land. 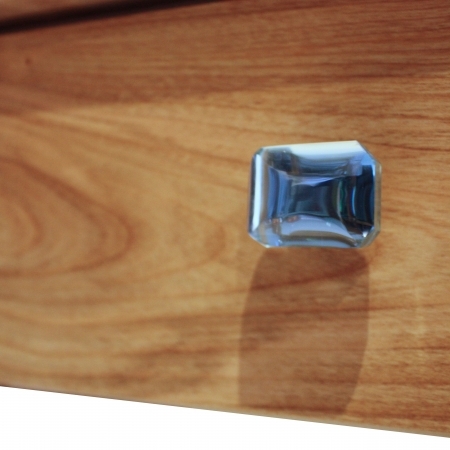 The piece was personalised by adding an old map detail of the estate where the tree fell, inlaid in the centre drawer.